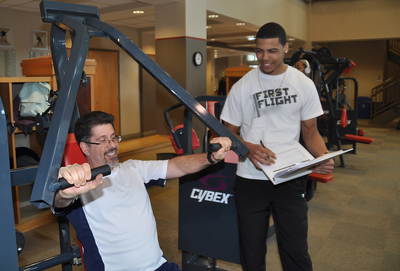 OtterFit student personal trainer with faculty OtterFit client. Boose, Annette Harting, "Exercise Science & Health Promotion 37" (2014). All Health and Sport Sciences Images. 307.